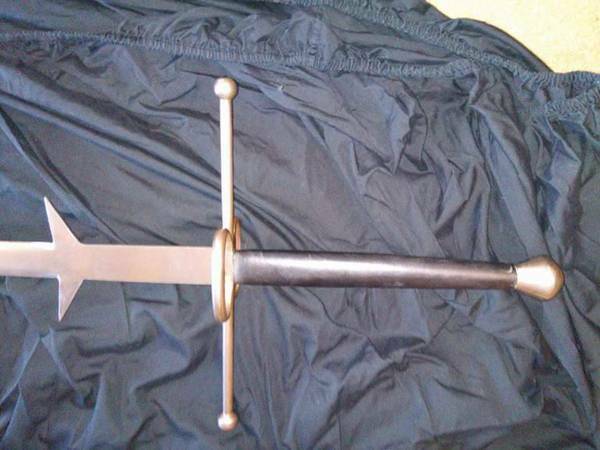 I'm curious - does anyone recognize this sword or who may have made it? I would have to say a mid-to-late 20th century piece, possibly Spanish or early Indian. 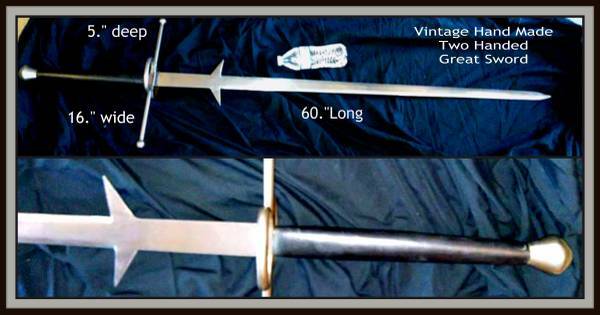 If there are no markings, the only thing to do is establish a provenance-- ask the past owner "where did you get it, when did you get it, from whom" etc. and work your way up. Agreed with Mark. 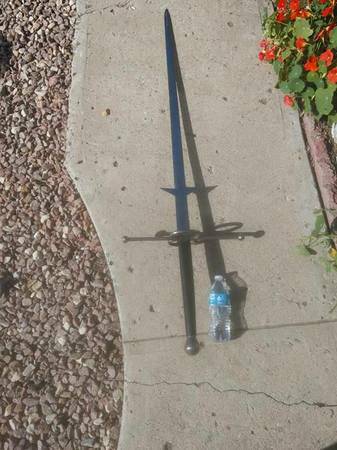 The lack of any fullers seems unique--every other zweihander I've seen has them.